I’ve been collecting the #OneWord choices from members of my PLN and am fascinated by the variety and thought that goes into selecting these guiding words. The philosophy of #OneWord is to choose a word that will guide you in the coming year instead of making specific resolutions and goals. Here is a graphic I created of the contributions from my PLN. For some reason, the Word Cloud program I used to create this didn’t like the two word submissions, No, Do, and, Be, sorry Jessica Cabeen, Todd Schmidt, and Ellen O’Neill. 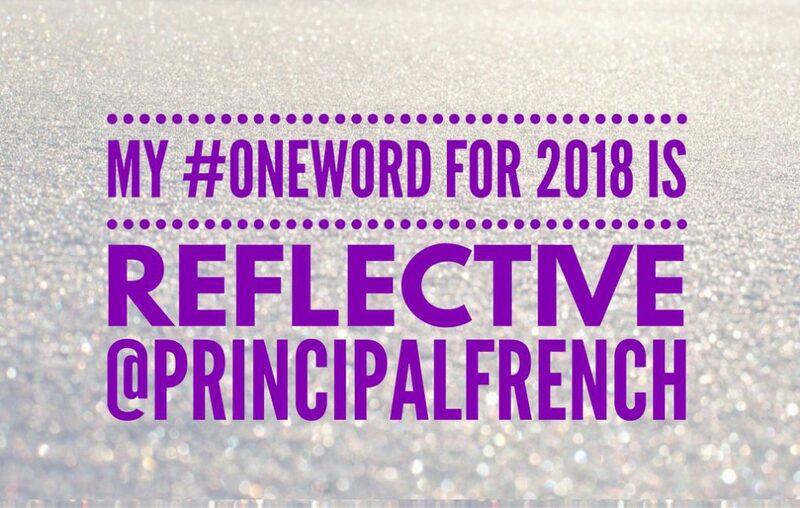 In my previous post, I shared my #OneWord2018, Reflective. I’m going to use that guiding word this year, and all the other powerful words chosen by others, to continually work on being the best principal I can be.